Glitch Gamer, Episode 2 showcasing some weird weapon bugs in Half-Life for PC that have existed is every version and was never caught, even over hundreds of updates and patches. I have a ton more questions on this including: does this exist in the console ports? 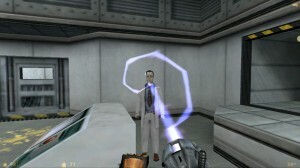 What about the Shock Roach in Half-Life: Opposing Force that has a similar idle animation glitch?